Friends, sometimes it's just unbelievable, the amount of money people are ready to splurge to seek pleasure. Today a US national just proved this, when he paid $110,000 to hunt Pakistan's national animal markhor. Markhor is a species of wild goat, characterized by long hair and spiral horns. 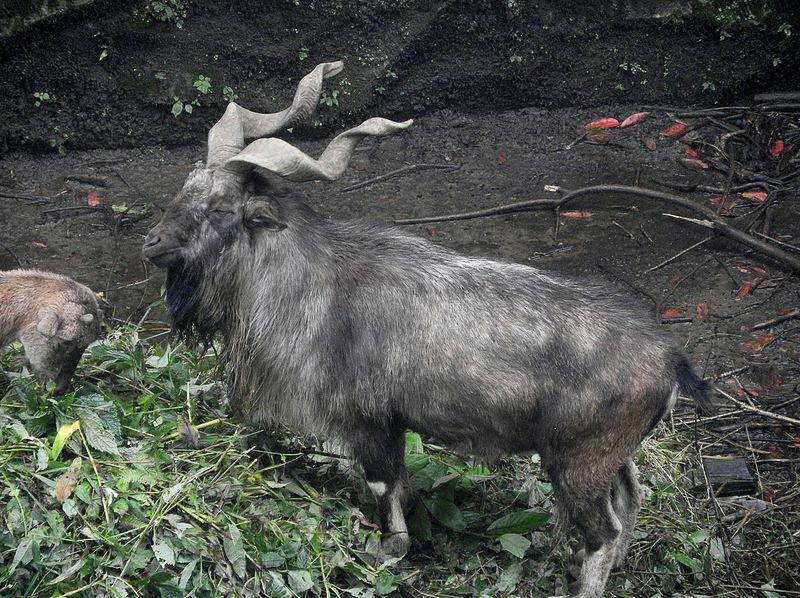 Markhor could be found in gilgit-baltistan, chitral, Kalash valley, hunza provinces in northern Pakistan. Markhor killing is Illegal in Pakistan, markhor is protected by local and international laws as it's an endangered species. However Pakistani government has come with a scheme called trophy hunting, according to which, an auction is held by Peshawar government, in which bids are invited from all over the globe. And the highest bidder wins a license for trophy hunting. Annually 4 such licences are issued. As per local chairman Hamid Hussain, money which government earns, by issuing licenses is divided between local communities and wild life department. 80% of it is allotted to local community and 20% wildlife department keeps for itself. This years highest bidder was Mr Bryan kinsel Harlan. He won the license to hunt markhor for a whopping 110,000$. Previous highest bid was $92000. 41 year old, Mr Bryan is a pro hunter, it's his third time in Pakistan, he says he has hunted almost all animals in Pakistan and had reserved markhor for last. Mr Bryan is very pleased with the hospitality of Pakistanis, and says will return again next time.